New York Times bestselling author Joseph Finder's breakneck stand-alone thriller about the secrets families can keep—and the danger of their discovery. 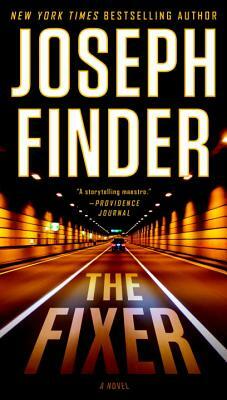 JOSEPH FINDER is the New York Times bestselling author of twelve novels, including Guilty Minds, The Fixer, Suspicion, Vanished, and Buried Secrets. Finder's international bestseller Killer Instinct won the International Thriller Writers's Thriller Award for Best Novel of 2006. Other bestselling titles include Paranoia and High Crimes, which both became major motion pictures. He lives in Boston.